As a child growing up in Bogota, Colombia, Diana spent nearly every Sunday enjoying active fun on 70 miles of closed roads and eating ice cream at Ciclovia! Now as USA citizen she is determined to bring the same smiles and laughter to the residents of Southwest Florida. Diana is an avid dog lover and volunteers with local rescue Senior Paws Sanctuary. Diana has been a resident of Lee County for over 12 years and a bicycle crash survivor. She is inspired by functional community development, visualizes community growth encouraging social interaction, sensible urban design and a healthy community for all. Diana holds a Bachelor’s degree in Architecture and Urban Design and a Master’s Degree in Management. It is an honor for Diana to be part of Streets Alive SWFL and one of the co-founders of the organization; Her favorite tag line is “ Individual choices can change an entire community”. Together we can make a difference! 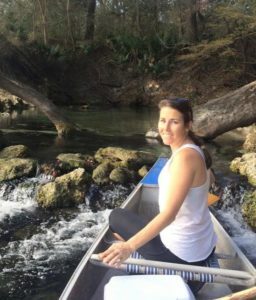 Jessica (Jessie) Marcolini is an Instructor at Florida Gulf Coast University (FGCU) who teaches courses on sustainability, environmental science and civic engagement. As an FGCU grad, Jessie has seen the Southwest Florida area grow over the past decade and enjoys exploring and engaging in the community. Outside of work, Jessie’s hobbies include biking, exploring new areas and visiting the local dog parks and beach with her pups Shelby and Remington. Anne spent the majority of her adult life in Denver Colorado. December of 2015 she and her husband jumped off a 2000 mile cliff moving to Fort Myers. As a casual bike rider in Denver, Anne enjoyed 20+ mile weekend multi use path rides and short rides for for errands near her home. She quickly learned not all areas are bike friendly. While bicycling on a four-lane road in Fort Myers traveling in the bike lane the bike lane abruptly ended about a half a block from a major intersection. With no shoulder or sidewalk and being a casual rider this was terrifying. That incident may have scared Anne away had it not been for finding like-minded people through social media. She now rides with local bike groups. 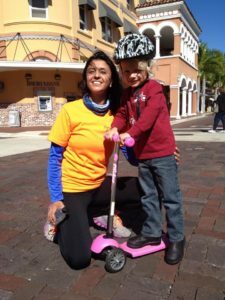 After learning the hard way that Fort Myers does not have complete streets she applied for the board to help make southwest Florida more livable and safe for all. 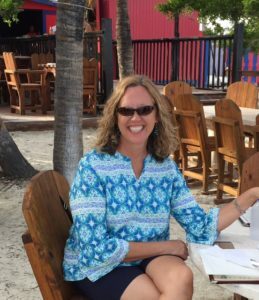 Anne can be found daily somewhere between Venice to Marco Island working as a Territory Manager for OneCoast. Being on the water and biking with friends are her happiest places. She volunteered with United Way of Denver, National Alliance on Mental Illness of Colorado, Denver Heart Walk, and was a founding Board member of a High school Lacrosse Booster club. Barry grew up in a rural midwestern community where he spent as much time outdoors as possible, usually on his bicycle. As a career Naval Aviator, he often packed a bicycle aboard his aircraft or ship; and had the opportunity to experience bicycling on several continents. A resident of Lee County since 2009, Barry is excited to see the energy supporting a new vision of making Southwest Florida a healthier and safer community for all residents across all modes of transportation, including pedestrians and bicyclists. He is a member of the Caloosa Riders Bicycle Club and participates in Southwest Florida Critical Mass rides and civic events. Barry is a recently retired airport executive and is now working as an associate with an aviation executive search firm. He holds a Bachelor of Science degree in transportation as well as a Master of Business Administration degree. 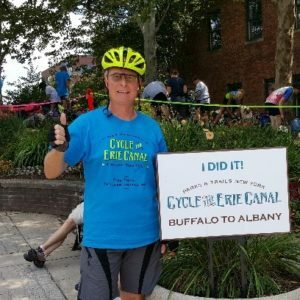 Rob is a determined cyclist who helps everyone who wants to ride a bike to feel comfortable doing so! 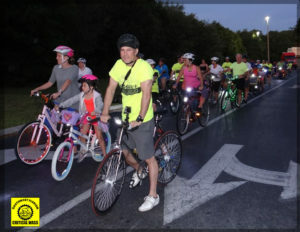 He is the founder/leader of Southwest Florida Critical Mass, home of eight monthly group rides which are open to the public at no charge and occur at different locations throughout Lee County. They are self-supporting, slow rides focused on socialization, safety and fun! Rob is the brain behind many of the cool graphics for the nonprofit. Rob is a Realtor. He is a single parent of twins, currently attending college. He manages the SWFL Critical Mass Facebook and SWFL Cycling Meetup pages. Many outstanding community individuals have been part of Streets Alive of SWFL in different capacities.